We are pleased to announce the release of OpenHPC, v1.3. This minor release is targeted to enable support for CentOS 7.3 and SLES12SP2 and includes the addition of an integration test-suite component, several component updates, various bug fixes and documentation enhancements. We are pleased to announce that OpenHPC has been awarded the 2016 HPCwire Reader’s Choice Award for Best HPC Software Product or Technology. At SC’16, RedHat announced that it has joined the OpenHPC project as a Silver Member. The OpenHPC Technical Steering Committee is pleased to announce the release of OpenHPC, v1.2. At SC16 in Salt Lake City, project lead Karl Schulz announced the latest release of the OpenHPC project. This minor release includes several new components, a significant number of component version updates, and a Tech Preview of ARM aarch64 builds. The number of available installation recipe guides has also expanded to support an additional resource manager option (PBS Professional) and the aarch64 architecture. The OpenHPC Technical Steering Committee will be hosting its regular meeting at SC’16 in Salt Lake City on Wed. at 9am MT at the Salt Lake City Sheraton hotel, Wasatch Room. Join project Karl Schulz and other SC’16 attendees at the OpenHPC Technical Steering Committee. Each week, the HPC community is invited to participate in discussions on the enhancement of the OpenHPC code base. Learn more about the TSC here. 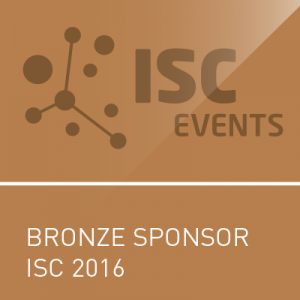 OpenHPC will be at ISC High Performance: June 19-23, 2016, Frankfurt, Germany. We are pleased to announce the initial formation of OpenHPC, a Linux Foundation Collaborative Project. A press release highlighting the project, supporting members, starting motivation and plans is available here.